I often lament the lost art of audio plays. My favourite piece of art ever is the original radio series of The Hitch-Hiker’s Guide To The Galaxy by Douglas Adams, and I’ve listened to it more times than I can count. There was something about the way it was put together — a combination of witty dialogue, amazing SF concepts, and sound effects that forced you to imagine vistas that no television of film budget could ever hope to achieve — that made it such addictive listening. So I was pretty excited when the guys behind the fantastic podcast Splendid Chaps (John Richards, Ben McKenzie, Petra Elliott and David Ashton) asked me to join them in creating an audio science fiction comedy series. The result is Night Terrace, and I’m amazed at how well it’s coming together. It’s one thing to come up with big ideas; it’s another to work with people who have a detailed, achievable road map on how to make those ideas happen. A project this big requires money, and crowdfunding is the way of the future. And also the present. We are Kickstarting Night Terrace, and the group has come up with a bunch of really enticing rewards. Our donors will not just throwing money into a void; they’ll be getting actual, tangible rewards. And I wouldn’t be pushing this unless I knew it was going to be great. 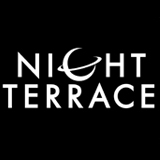 So head on over to the Kickstarter page to discover what Night Terrace is about, who’s behind it, and help get it off the ground!